Discussion in 'Automobilista - Links & Resources' started by Russell Hodgson, Sep 28, 2016. The updates are optional. When you purchase the software you get the current version at that time and can use it forever. However there is a charge for updates because a lot of work goes into each update, and the people who do that work need to be compensated. I totally understand that but if I buy any product I would expect at least 12 months of updates included in purchase, if that was the case I would happily buy it but to be out-dated within a few months is not right. Also to have an editor to create my own dashboards i would also jump in and purchase it ,but each update you do means I have to purchase updates to get the new dashes? These are just thoughts from a perspective customer so I hope you take them constructively. One of the great features of the Z1 Dashboard is its ability to automatically change the dashboard upon entering the pits to whichever one you wish. This video explains the four options the Z1 Dashboard provides you for selecting when that dash should be displayed. An editor is something we are looking into. We want something that makes it fairly easy for people to make their own dashboards, but still produces excellent results at all resolutions and aspect ratios, and doesn't require full programming ability on the part of the end user. Version 4.9.0 of the Z1 Dashboard is now available! * Speech has been incorporated into the Dashboard, allowing it to tell you various items of data from lap times, to sector times, fuel data, laps, and more. * There is now a tracked drivers list. You can use this to keep track of any drivers you like. When you are near those drivers the Z1 will alert you to their presence. If you run iRacing you can even have their car painted a certain color for easy recognition. * Sector 3's Race Room simulation is now supported. * Added speech options. The Dashboard can now speak to you, giving you countdowns to your pit stall, and information such as lap times, fast lap, positions and laps of fuel remaining if you need to pit and the current lap number. This can be customized in the Speech tab of the settings dialog. The Enabled Speech checkbox must be ticked for speech to work. The Volume, Speed and Pitch trackbars allow you to adjust how the voice sounds. The actual voice used is the one selected in the Control Panel -> Speech Recognition -> Text To Speech window of Windows. * For best speech results you should adjust the volume for the Z1 Dashboard in the Volume Mixer to be 100%, along with system volume. Then set your sim's volume to about 50%. This allows you to hear the voice over the engine noise within the sim. Note this might mean you have to increase the volume of specific sounds within your sim as well for best results. * There are currently 10 messages that can be spoken. To have the Z1 speak a particular message automatically make sure you have that message's checkbox ticked. The text field next to the message is the text that will be spoken. You may enter any text you like into these fields. * The welcome message is spoken up the Z1 starting up. This might be necessary on some systems to get the Z1 recognized on the Volume Mixer. It is also just fun to have the Z1 welcome you when you start it up. * The Pit Stall Countdown announcement will come on when you engage the pit limiter or enter the pit lane (depending on how you have the Z1 setup). It will only work on sims that provide information on the location of your pit stall (currently this is only iRacing). You can choose how the message is spoken and the frequency with which the distances are given. The distances relate to the units you have chosen in the Z1 General tab. * The automatic announcement of the lap times, fast lap, position, laps of fuel, whether you need to pit and the lap number are all done after you cross the start/finish line to complete a lap. * You can have the Z1 Dashboard speak sector times and deltas to your best times in the session if you like. Note this feature is not available for all sims. * You can also assign buttons to speak various pieces of information, or all the information at any time you wish. These options are available under the Buttons tab. * Added a tracked driver list feature. This allows you to add drivers to what we call your 'tracked' list of drivers. This is intended to be a list of drivers you feel you can race closely with, or drivers who you need to give a bit more room to when racing. There is a tab in the settings dialog called 'Tracked' which allows you to view those drivers on the list, to remove drivers from the list, and to adjust settings for the display of those drivers. * Several dashboards (the Ahead/Behind, Track Map 1, Track Map 3, and Standings) will display if a driver is on your tracked list. The Ahead/Behind dash will highlight the title bar and display the words 'tracked driver' for any driver on your tracked list. The Track Map 1 and 3 dashboards will highlight the driver's name if they are a tracked driver. The Standings dashboard will underline the driver's name if they are a tracked driver. * There are four button functions that can be used to adjust who is on your tracked driver list. These buttons allow you to add the driver ahead of you or behind you to the list, or to remove the driver ahead or behind you from the list. These buttons can be set in the Buttons tab of the settings dialog. * In addition if you are running iRacing then you can specify a minimum iRating. Any driver under that iRating will automatically be added to your tracked driver list. The minimum iRating can be set in the Tracked tab of the settings dialog. * The color used to highlight a tracked driver can be set in the Tracked tab of the settings dialog. * If you are running iRacing then you can also choose to have the cars of all drivers who are on your watch list to be painted in a specific color. If the Update Paint Jobs option in the Tracked tab is set to either 'All' or 'Changes' then the Z1 Dashboard will update the paint jobs of each driver's car from the tracked list when the Z1 exits. The 'All' setting will update the paint jobs of every driver on the list. The 'Changes' settings will update the paint job for only those drivers who have just been added or removed from the list. This is the preferred option because it takes less time upon application exit to write the paint jobs. However if you are using an application such as Trading Paints to automatically update paint jobs, then having the Z1 write out all drivers may be preferable. * Note that only the first instance of the Z1 Dashboard will update the paint jobs, and that instance must be running on the same machine as the sim. If it is running through the Z1 Server on a remote machine then it will not update the car paint jobs. * The paint folder for iRacing can be specified in the Tracked tab of the settings dialog. By default it is documents/iracing/paint. * The Buttons 1 and Buttons 2 tabs have been combined into a single Buttons tab. There is a scroll bar on the right of that tab to allows you to access all options. * There is now a kiosk mode. This can be turned on in the General settings tab. When on, this will cycle through the selected dashboard with a description of each one. It is intended to trade shows or similar situations. * Connectivity to the Z1 Server when using multiple instances of the Dashboard has been improved. * Removed support for Assetto Corsa Technical Preview. * Added another Assetto Corsa connectivity method (Option 3). This may help some people who were having issue with the Z1 Dashboard never disconnecting from Assetto Corsa. * If you try to connect to an out of date plugin, the version number of that plugin will be saved in the log file. This should make it easier to determine which plugin the Z1 thinks you have installed. The Z1 Analyzer allows you to load your own laps, and laps of other drivers from our servers. This lets you compare yourself with other drivers to see where you can improve. This video shows how you can load laps from your computer and from our servers using the Z1 Analyzer. The shift lights included on many of the dashboards in the Z1 software can be customized in multiple ways. You can adjust the RPM at which they illuminate; you can adjust their color; you can allow the Z1 software to determine when they should illuminate. This video explains how all these options work. The Z1 Dashboard shift lights can be set up to take advantage of DRS if the car supports it. This video explains how you can setup the shift lights within the Z1 Dashboard to display DRS. The Z1 Analyzer allows you to compare your lap with laps from other drivers. Just download a lap and the Z1 Analyzer will tell you where you are faster and slower and how to can improve. We have 2,700 laps available for download, and more being added every day. We've got some great news! The Z1 Dashboard is now used in some simulators by Porsche! It has definitely come a long way from its humble beginnings to become one of the best dashboard and analytic platforms for sim racing available. Coming in version 4.10.0 of the Z1 Dashboard - the Cosworth Porsche dashboard for the 911 GT3 Cup Car! These dashboards were developed by us in cooperation with SimDev technology for use in Porsche's simulator. This gave us incredible access to data on these dashboards! We will be bringing 10 variations of the dashboard to the Z1 Dashboard software in version 4.10.0. Enjoy this video showing the simulator running the Z1 Dashboard software, and a quick preview of one of the dashboards. It is here! Version 4.10.0 of the Z1 Dashboard is now available! With 10 new dashboards, numerous improvements to speech, analysis and sim integration this is an update you don't want to miss! Each of the new GT3 dashboards can be displayed with or without the shift lights LEDs and/or the side warnings LEDs. We've posted pictures of the 5 versions without shift light LEDs here. * Added 10 new dashboards! See below for details. * Added the Cosworth Porsche Race Dashboards. There are four variations, numbered R1 - R4. These correspond to the variations in the actual car. Each of these versions has two variants, the standard version and a B version. The B version does not include the shift light LEDs and uses the maximum amount of space for the 'screen' display. That makes a total of 8 race dashboards! Note because not all sims support the 4 left and 4 right indicator LEDs, they can be hidden on the standard versions by turning off the Show Extras option for the car. * Added the Cosworth Porsche Pit Dashboard. As with the Race dashboards, there is a B variant which does not include the shiftlight LEDs. And on the standard version the left and right indicator lights can be hidden by turning off the Show Extras option. * Updated Assetto Corsa engine to take advantage of the latest additions to the Shared Memory API. * There is now an option in the Strategy tab to enter the pit speed limit to be used. This can be used when the speed limit is not supplied by the sim, or you want to override the supplied speed limit. * Improved the scroll bars used in the settings dialog tabs. * Improved the registration methods. * Various improvements to the speech options. * You no longer have to have the pit info dashboard displayed in order for the pit lane countdown speech option to work. It will now work with any dashboard. Note currently iRacing is the only sim that supports this option. * Various updates and improvements to many dashboards. * There is now an option in the Buttons tab to turn off the check for POV switches. If you turn this off, then the joystick buttons check will only look for actual buttons inputs, and not POV inputs. * Updated the Z1 Server settings dialog buttons tab to use the same scroll bar layout as the Z1 dashboard. * The Mark Data button option has been added to the Z1 Server. This allows you to place a data marker in telemetry that is being recorded by the Z1 Server. It will also send a message to the Z1 Dashboard to display the message about the marker being placed, and also tell the Dashboard to place the same marker in any data it is recording. * The Z1 Server now supports buttons for adding or removing the car ahead or behind you on track to or from the tracked driver list. This allows the tracked driver list on the Dashboard running on a remote PC to maintain an up-to-date tracked driver list in the same way the Dashboard running on the sim PC can do so. * The Network tab now allows you to specify which sims should be checked for activity during the "Waiting For Sims" screen. Turning off the checks for sims that you don't use can improve response time and resources when scanning for sims. * The Dashboard will now check the Z1 Analyzer database to see if there are laps that match the current sim, track and car and if there are will display those results (numbers of laps and fastest lap time available) in the Standings display of the garage screens. This allows you to easily see if there is a lap in the Z1 Analyzer that you would compare yourself against in order to see where you could gain time. This option can be turned off by unchecking the Z1 Analyzer checkbox in the Network tab. 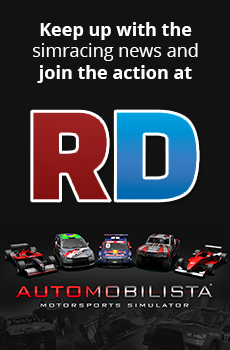 * The sector times have been implemented with Automobilista and RaceRoom. Both the speech and text displays will speak/show them now. * Updated RaceRoom integration to work with their latest API. * RaceRoom ghost car no longer shows up on the list of drivers or track map during a practice session. Version 4.11 of the Dashboard is here! This updates includes a refresh of the interface. It was time for a new look, so gone are the previous icons and the green screens. They have been replaced with updated looking screens and drop down menus. In addition we have 4 new dashboards - two track map dashes; one stock car dash; and one GT car dash. There is also a new feature called 'Simulated Race'. This lets you run a race to a specific length of time or number of laps in a practice session. This is very useful for testing out fuel strategies, tire wear or just practicing the race without having to be in a race session. * Two new track map dashboards (#7 and #8) are available. Number 7 incorporates a gear display and curved rev bar into the weather dash display. Number 8 incorporates your average lap time, and the amount of time left in the session into the track map dashboard. * Added a new Stockcar 2016 dashboard. * Added a new GT3 Dashboard (GT3 Dash 3). * There is a new feature call 'Simulated Race'. This is available in the Strategy tab. It allows the Z1 Dashboard to count the laps you are doing as a race. You can specify the length of the race in either laps or minutes. The race can be started when you get in the car, or when you press an assigned button. When this mode is active the software will display all lap estimates, fuel estimates, and other data as if you were running an actual race. This allows you to do practice runs without having to join an actual race. * There is a new option in the Strategy tab that effects how the number of laps to go in a timed race are determined. If you are running a race with pit stops those pit stops will effect the amount of time you are actually driving on the track, and therefore the number of laps you can do. By default the Z1 doesn't know how many pit stops (if any) you are going to make. So no time is deducted from the total for these pit stops. This can results in the Z1 thinking you can do more laps than would actually be possible because of the time lost in a pit stop. This results in the Z1 telling you to add more fuel than necessary to complete the race. The Stops In Race value tells the Z1 how many stops you plan to make in the race. The '# of stops effect timed race length' option tells the Z1 if you want the time of those stops to be deducted from the total time left in the race, thereby effecting how many laps you can do, and finally how much fuel you'll need to finish the race. The time of a pit stop is based on the Pit Stop Time value. You can set this manually or have the Z1 calculate it based on previous stops. Note that the Stop In Race option is not saved between session. You will need to set it for every race. This is because if it was saved and you did a race with a different number of stops from the last race then you would have incorrect time, lap and fuel data presented by the Z1. * You can now choose metric or imperial units independently for speed (kph/mph), pressures (kpa/bar), amounts (liters/gallons), distances (meters/feet), and temperatures (c/f). The options for these are located in the General tab of the settings dialog. * Completely redesigned interface for the garage screens (you know - the ones you see when not in the car). The icons are the bottom are gone. There's a new completely customizable color scheme. To navigate between screens click on the menu icon at the top right. It was time for a new look, and it allowed us to add some more features not possible with the previous design. * The General settings tab now includes options for Foreground Font, Foreground Color 1, Foreground Color 2, and Background Colors 1-4. These allow you to customize the font and colors used to render the various garage screens. To select a color click on the desired color swatch and a color chooser will be displayed. * The standings screen has been tweaked to make things easier to read with regard to the tracked drivers, car classes and iRacing's SR classes. * The main statistics screen now displays the weather conditions in a scrolling text line at the bottom (if the sim supports it). * When not in the car you can now use the mouse wheel to scroll the Notes, Laps and Standings screens. * The Timing & Scoring dash now displays how you average fuel per lap is being calculated and also what, if any, fuel buffer you have included in the fuel to finish calculation. It also displays if the laps completed relates to the number done, of the one you are currently on. * Users with a touch screen Z1 LCD Screen can now swipe the screen up or down to scroll the Notes, Laps and Standings garage screens up or down. They can also swipe left/right on the laps screen to scroll through the sectors. Note we recommend using a stylus for this purpose rather than your finger as it is more accurate. * There are 4 new options under the Open To drop down in the Display tab of the settings dialog. These are Top Half, Bottom Half, Left Half and Right Half. These join the existing options and allow you to tell the Z1 Dashboard software that it should open to the appropriate location on your monitor. * The font selections in the settings dialog are now drop downs that list all fonts available on your PC. This should make it easier to select the desired font. * The color selection boxes in the settings dialog have been replaced with color swatches, making them look better, and bringing them up to date with the ones used in the Analyzer. To display the color chooser just click on the swatch. * The Pit Stop dash will now change the color of the text used to display the fuel remaining when you are in a race. It will be green if you have enough to finish the race, red if you have less than 3 laps of fuel left, and yellow otherwise. * Fixed a bug where the garage screens would incorrectly display the wrong license type. * Fixed a bug with the GT3 Dash 3 where the gear number would turn black after crossing the start/finish line. * Fixed a bug where the 'flip' option did not flip the garage screens. * Fixed some issues with the garage screen, lap screen and standings screen not being displayed completely properly when using the auto-resize option. We've got three versions of the SMZ1 Wheel available, and more on the way. We'd like to know what you think about sim racing wheels. What do you like about them? What are you looking for in a wheel. We've got 9 questions and your answers will help us build better wheels for you! We have a new wheel to add to the SMZ1 line up! Presenting the new SMZ1 Lite wheel! The SMZ1 Lite wheel is perfect for sim racers who are looking for a simple F1 style wheel. Its 4.3" touch screen display and 15 shift light LEDs provide you with instant feedback on the state of the car. Integration with the Z1 Dashboard software is seamless, giving you access to nearly 100 various dashboards and multiple features to help you win your races. The SMZ1 Lite's beautiful finish includes 8 buttons (four on each side), two toggle switches and two rotary dials. It is not only an incredible wheel it is also a work of art. And with just one USB cable it won't clutter up your sim rig. If you want a simple F1 style wheel for your sim racing rig, then the SMZ1 Lite is the wheel for you! The Z1 Dashboard software includes many screens that are available to you when you are not in the car. These garage screens show data from your current session in the car. This video provides a detailed explanation of these screens. Version 4.12 of the Z1 Dashboard software is now available! Highlights of this new version include compatibility with Codemasters F1 2017 and 2016; the addition of a new plugin for Assetto Corsa that allows us to access data on competitors cars so they can show up in track maps and standings screens; the support for multiple LCD screens; and of course new dashboards! The new Track Map 10 Dash. * Added compatibility with Codemasters F1 2017. * Added compatibility with Codemasters F1 2016. * Added a plugin for Assetto Corsa. This python plugin allows the Z1 Dashboard software to receive information on the other cars in the session so that you can now view them on the track maps just as you can with the other sims. This includes the type of car, the driver's name, their best and last lap times, when they last pitted, etc. The plugin is located in documents/z1dashboard/plugins/assettocorsa. There you will find a folder called Z1Dashboard. It contains the plugin 'Z1Dashboard.py'. Copy the entire folder into Program Files (x86)\Steam\steamapps\common\assettocorsa\apps\python. (You should end up with the Z1Dashboard folder inside the python folder. And that Z1Dashboard folder should contains a file called 'Z1Dashboard.py' and two other folders called 'lib32' and 'lib64'. * Added a new Standings dashboard (Standings Dash 2). This displays the data in a slightly different format and includes both the driver's fastest lap time and their last lap time. The new Standings 2 Dash. * Added a new Ahead/Behind dashboard (Ahead/Behind Dash 2). This displays the last lap time and fastest lap time for the drivers directly ahead and behind you on the track. In addition you also get deltas to those times from your own last lap and fastest lap. This helps in determining if you are gaining or losing to the car ahead or behind during a race. Note the Ahead/Behind dashboards shows the car right in front or behind you on track regardless of their position in the race. This is different to the Track Map dash #3 which shows the driver ahead/behind you in position. So if you are in 6th place, and there are two cars in between you and 5th place, the Track Map 3# dash will disregard those cars and display the driver in 5th place. Make sure you utilize both of these dashboards to their intended purposes. * Two new track map dashboards are available (#9 and #10). These incorporate the two Ahead/Behind dashboards into the track map style dash. The new Track Map 9 Dash. * Added a new dashboard - the Z1 Dash 1. This incorporates a g-force meter, laps times, and basic car information. * Multiple LCD Screens are now supported, up to a maximum of 6. When you start the Dashboard if a screen is present and not currently being used the instance will display itself on that screen. From that point on it will always look for that same screen when attempting to display. If it can't find that screen in the future, then it will randomly choose from any available display. There is a new option in the Display tab of the settings dialog called 'LCD Serial #'. This displays the serial number of the screen being used for the display. Each screen has a unique serial number. So if you enter a different serial number here it will look for that screen and try to display on it. If you erase this serial number then the Dashboard will randomly choose any available LCD Screen to display upon. * You can now add and remove drivers from the tracked driver list by right clicking on their name in the standings garage screen. This will give you a popup menu with two choices - add driver or remove driver. Select the desired option to add or remove the driver from your tracked driver list. * There is a new option called 'Focus On Me' in the general tab of the settings dialog. This is on by default. This option will keep your name displayed in the Standings dashboard. The first place driver will always be displayed at the top of the standings. Then if this option is on the list may skip down some drivers to ensure that you are visible on the screen. Note while this option is on the up/down arrows have no effect on the standings dashboard. * There is a new Open To option in the Display tab: Full Screen. This is similar to maximize, but provides a second option for times when a specific monitor is desired with a full screen display. * Added brake bias in car adjustment for Assetto Corsa. * Improvements to the compatibility with RaceRoom. * There is an option for the Codemasters sims called 'CM Name'. This is located in the Network tab of the settings dialog. Please enter your name here to have it show up on the list of drivers for Codemasters F1 2017. If you leave this blank then the Dashboard will display the driver name as given from the sim, which will be whichever current F1 driver you selected in the sim. * There is an option for the Codemasters sims called 'CN Timeout'. This is located in the Network tab of the settings dialog. This is the number of seconds the Dashboard or Server will wait after the telemetry is stopped from the sim before disconnecting. The default is 10 seconds. * The font selection on the Notes tab and the Adjustment Font in the Display tab have been updated to a drop down to make it easier to select the desired font. * Updated the Data Logger to allow for car and track names with special characters included in their names. * Various graphical updates to the track map dashboards. * The Z1 Server now includes the options to choose which sims you want to check for. With the growing number of sims supported this allows you to streamline the connection process by having the Server only listen for the sims you are using. * Improved Z1 Server connection error logging to help with connectivity issues. * The Z1 Server can now send buttons inputs to specific Z1 Dashboard instances. Previously the buttons inputs were sent to all instances. In the buttons tab of the Z1 Server's settings dialog there is an option to choose if buttons presses are sent to all instances, or to individual instances. * The Z1 Server now shows which instances as the Z1 Dashboard it is connected to (1-6). * You can now specify where the Z1 Server will save the created telemetry ZOD files. This is done in the General tab of the settings dialog of the Z1 Server. and it is my main tool to work with and getting all the information's to improve my performance! except if you beat your Personal Best time in a session, the Delta-Time works fine! can any other AMS-Driver confirm this behavior or could you add any observations so that @Russell Hodgson can fix this issue with our inputs? We are looking into this. Once we can duplicate the issue and then fix it we will put out a patch. The Z1 Dashboard has always been a leader in bringing new features to the sim racing community. We pioneered dashboard switching (the ability to switch between dashboards on the fly) several years ago. Since that time we have continually added more and varied dashboards to the application. From specific car dashboards, to track maps, to standings, to telemetry, to pit and race help we now have just over 100 different dashboard to choose from. You can assign up to 10 of these to your car and change between them at the press of a button. As we now have over 100 dashboards we wanted to show them all to you. So here they are.